A pottery industry was well-established in Kütahya by the 17th century; there are references to 'cup makers' of Kütahya in 1608. 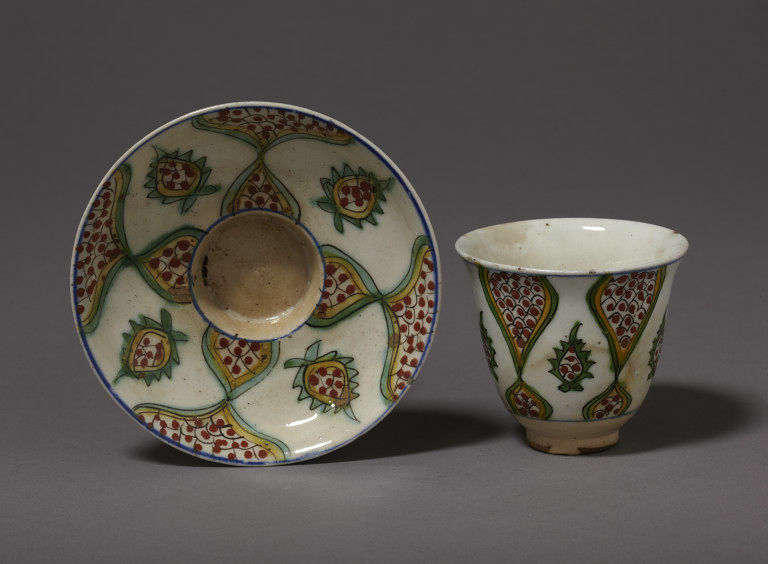 In 1715 a French merchant, Paul Lucas, based in Istanbul sent to France a dozen coffee cups and saucers, bowls, two rosewater bottles, two salts and two writing sets. A ewer and basin in the Patriarchal collection in the church of St. James, Jerusalem, painted underglaze blue is inscribed with the date 1716. 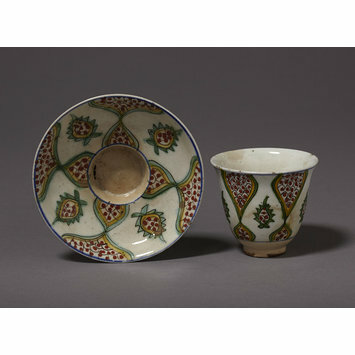 Cup and saucer, fritware, painted in underglaze blue with polychrome decoration, Turkey (Kütahya), about 1725.